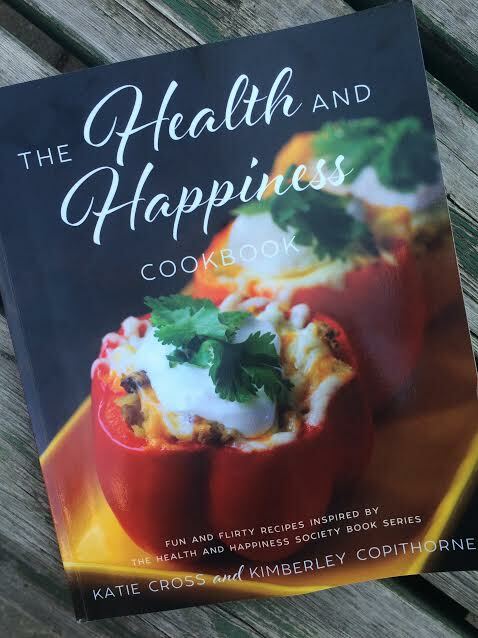 A couple of months ago I received the most wonderful gift from Kimberley Copithorne - a copy of her recently published book, The Health and Happiness Cookbook. 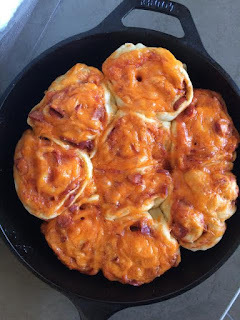 I first came across her blog, Prairie Winds Life, when she joined the Food Bloggers of Canada. I'm also a fairly new member, and when she was welcomed to the group, I immediately checked out her blog. It caught my eye because she lives reasonably close to Calgary, on a ranch outside the Rockies. Sigh.....can you imagine waking up to those mountains everyday? What I soon discovered after poking around her blog was that she basically cooks and bakes all the foods of my dreams. Seriously. You need to check it out. NOW. Since I've been conversing back and forth with Kimberley for the last few months, I've also learned that besides being food twins (my claim, not hers), we have kids that are essentially the same age. I'm now kinda-sorta that creepy fan that's like "lets be friends, let's be friends!!" We're definitely hanging out soon. Why did I share that here? I don't know. I'm just super pumped to meet her in person. Here is the part where I need to tell you (I kind of already did), that I received this copy from Kimberley for free. I am under no obligation to write anything (good or bad) about what I think of it. All opinions are strictly my own. I am not being compensated to tell you how darn amazing every page is. The recipes throughout this book are inspired by the characters in Katie Cross' book series. (For those interested, these titles include Bon Bons to Yoga Pants and I Am Girl Power). You can find out more about them and the author at www.kcrosswriting.com. The recipes in the cookbook are grouped into chapters according to the characters that inspired them. How fun is that?! I picked one recipe from each chapter to try and tell you about here. On that note, let me say it was almost impossible to pick one per chapter. I basically could have cooked my way through the entire book (trust me, I will). This is one of those cookbooks where every single page is flagged. Read on to see the delicious discoveries I've tried so far! Verdict: AWESOME! It looks so pretty and professional. 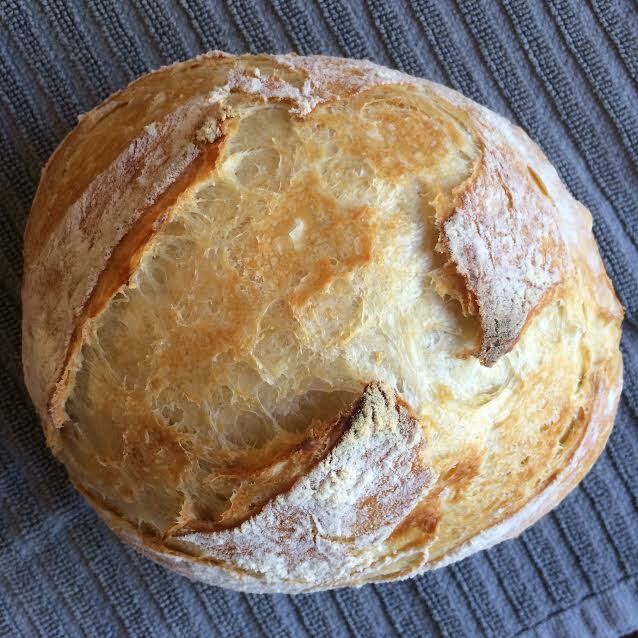 If you know how to measure, stir, and then wait, then this bread can be done perfectly, by everyone. This delightful little appetizer is so simple. 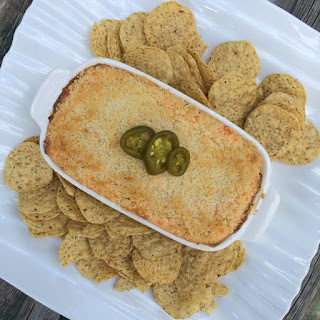 Cream cheese, mayo, sour cream, cheddar, pickled jalapenos and panko crumbs. Boom. Bake it and you're done. I have now made this dip three times in the past two weeks. There are never any leftovers. On Canada Day, it looked super festive with red and white tortilla chips. I should also mention that I also made the Wings Three Ways recipe in this chapter. I made the Teriyaki style ones, and WOW! I may or may not have eaten some (a significant amount...) of the leftover teriyaki sauce with a spoon before putting it in the fridge to drizzle on a stir-fry at a later date. I will be making the Canadian Poutine and Stuffed Yorkshire Pudding soon, too. Yup, you heard right. There are super simple recipes for both of these in the book. This was the very first recipe I tested from this book. The fact that I whipped these up while I was also grilling some chicken at the same time speaks to the ease of this recipe. Note: this is dangerous. One really shouldn't deep fry fritters in the kitchen while simultaneously grilling chicken on the patio. I shouldn't have, but I'm glad I did. This was an amazing multi-tasking moment for me. Verdict: These are a perfectly sweet little indulgence that you think would be harder to make at home. This batch is fairly small, which is good for controlling over-indulgence. 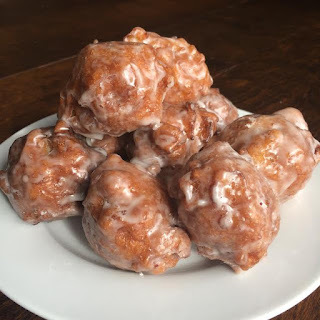 These are bite-sized morsels of cinnamon apple goodness that you would swear came from a big doughnut chain....but better because they're fresh and warm! They raise with baking powder (not yeast), so these are fast and pretty much instant goodness. This salad....wow! I am amazed at how such simple fresh orange juice and a little soy sauce can go so far into making such a flavorful salad! I made this for a few friends that were here for lunch a few weeks ago, and everyone gave it rave reviews. The dressing is a perfect mix of garlic, fresh ginger and orange juice that pairs so beautifully with the marinated chicken breasts on top. 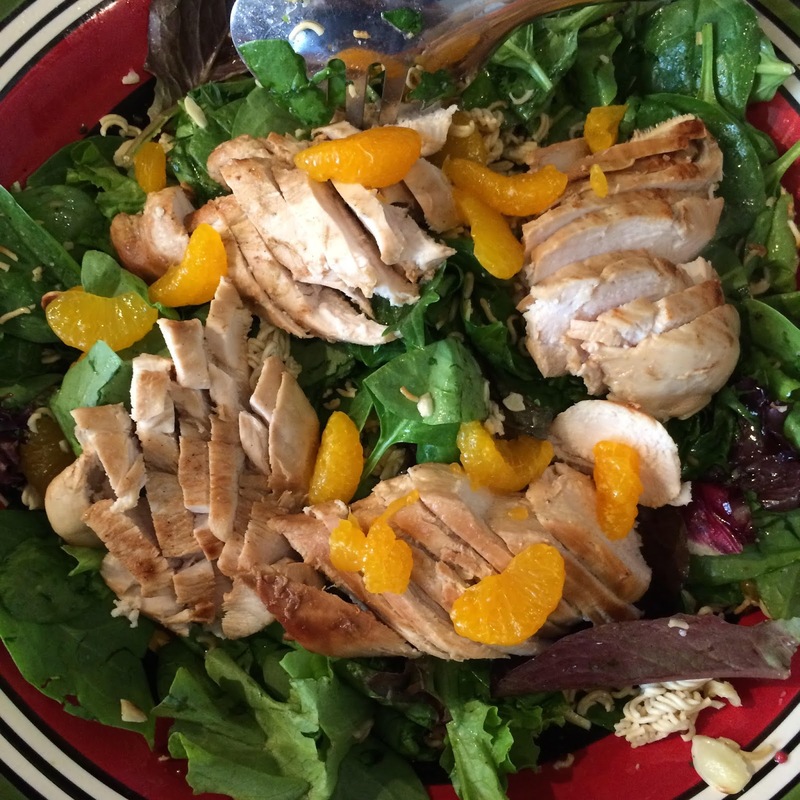 My chicken didn't brown as beautifully as Kimberley's did, but my lunch guests each had kids, and combined with my own, the house was mayhem at the time I was preparing this salad. I did the best I could. Mine may not be pretty, but it was VERY well received by my favorite ladies! Verdict: I will definitely make this as a main dish salad again! My personal tip is to either halve the dressing amount (it makes a LOT), or save some for another use. I used my leftovers on greens for the next week....and I'm not complaining! The photo accompanying this is far from stellar, but I can't say enough about these oooey gooey delicious rolls. I strayed from this recipe a little bit. I used cheddar cheese instead of mozza (how on earth did I run out of mozza?)... and...I baked them in a cast-iron skillet instead of muffin tins, as was directed in the recipe. I've recently embraced cast-iron cooking and I felt like this was a good opportunity to do so. Verdict: Even though I used the wrong cheese and pan, these were SO GOOD! I love that they use a proper dough and don't start with pre-purchased dough like you see some pizza-style rolls start with. The kids LOVED these (I made them for lunch one day), and my husband took the leftovers to work in his lunch the next day. I even froze a couple and they were good for his lunch a few weeks later too. I will definitely make these again...with mozza! When cooler weather rolls around I am definitely trying the Chicken and Dumpling Soup and Homestyle Mac and Cheese, which are also found in the Hearty Mom Recipes chapter. I'm definitely NOT hoping for cooler weather, but I'm more than a little excited to try both of them! There you have it, folks. This new addition ranks waaaay up there in my cookbook collection, and it should in yours, too. I highly recommend this book and encourage you to get one for yourself....unless you are an immediate family member of mine. This means you are highly likely to be gifted one from me because I'm definitely buying some copies to spread the deliciousness to the people I love. If you want a copy for yourself, please check out all of the links for paperback and e-book copies that Kimberley has provided on her blog, here. I know don't they look amazing! Her bread looks PERFECT! Shannon is amazing!